Mom's Heart: 2015 Virtual Curriculum Fair is Coming! 2015 Virtual Curriculum Fair is Coming! 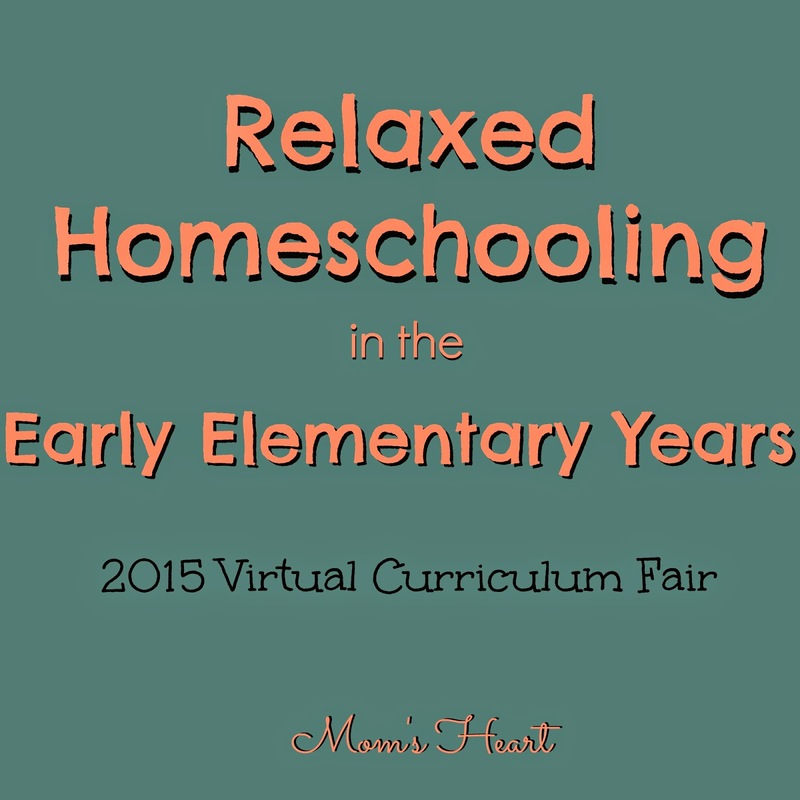 Last year I participated in the Virtual Curriculum Fair that is hosted by Homeschooling Hearts and Minds. You might remember the series, A Peek into our Homeschool, where I shared a little bit about the methods and the curriculum we use for each subject. I am excited to participate again this year, because not only do I share a little bit about our homeschool journey, but I get to be a fly on the wall in several other homeschools and learn what they do. As a a chronic researcher, I love seeing not just what other families do, but the hows and whys, and the variety of bloggers and homeschooling methods means there is quite a diverse collection of articles for me to read and enjoy. This year I'm sharing a little bit more on the Relaxed Homeschooling side for each subject, and also how we take a delight directed approach in many of these areas. Of course, my kids are all 8 and under, so my focus to this point has only been the early elementary years. These are the themes again for this year. This theme includes phonics, reading, writing, grammar, spelling, speech, literature, and so on. I'll be sharing some of my goals for early elementary language arts, and why I don't always follow the rules! This week we'll share anything to do with mathematics, mathematical thinking, numbers, arithmetic, symbolic logic, critical thinking, and math-related sciences like physics and chemistry. This week will revolve around history, geography, world cultures, worldview, biology, botany, geology and any other related areas of social studies and science! This is one area where we are very delight-directed, so I'll share a little more on how we choose our topics of study. This includes arts, handicrafts, music, or any area that adds beauty to our homeschool! A birth story - 8 years later!